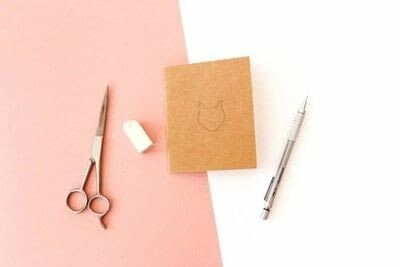 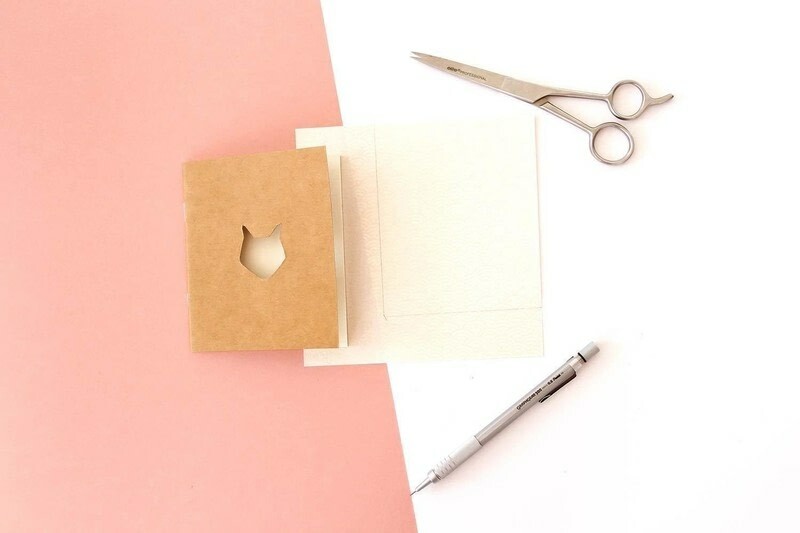 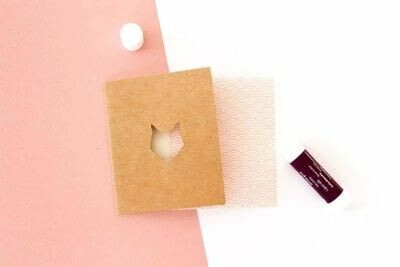 With this tutorial, you can customize a simple kraft notebook easily. 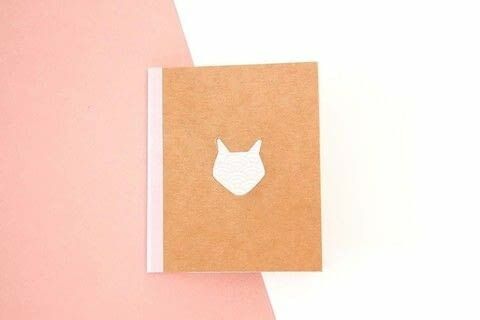 I was inspired by a cute fox and a beautiful patterned paper. With the pencil, draw a line on the side of the notebook. 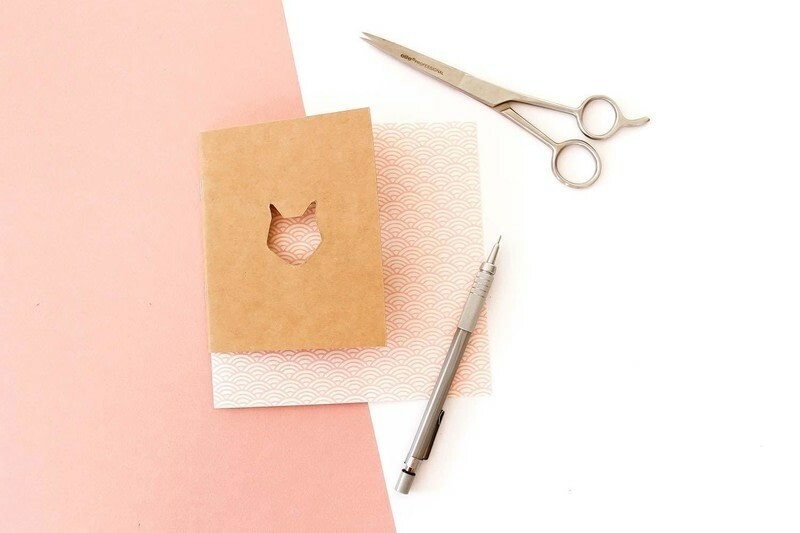 This is where the masking-tape will be. 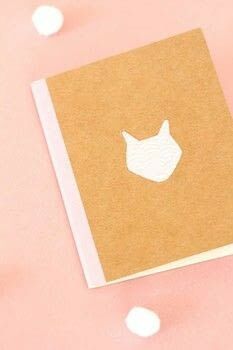 Then, you can draw the fox's head in the middle of the notebook. 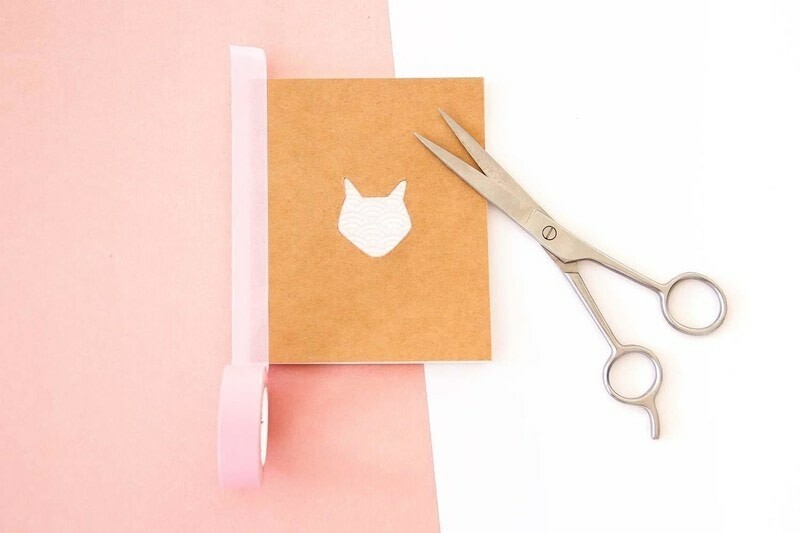 Cut the fox's head with scissors or a cutter. You can now draw the outline of the cover on your patterned paper. Cut this paper to the correct size, and glue it behind the cover, so that the pattern is visible. The last step is to put the masking-tape on the side of the notebook.